SMOK Trophy Tank V2 Bottom Coil Pyrex Glass Tank Atomizer - 5ml, 6 colors: Pyrex glass tank tube, Huge capacity 5ml, 510 thread, 3pc 1.8ohm coils included. • Pyrex glass tube with a 5ml huge capacity. • 510 thread, it compatible with 510/eGo/eGo-T/eGo-C/eGo-C Twist battery and eVic. • It's a empty cartomizer, It doesn't come with e-liquids. • 3pc 1.8ohm coils included (this batch coils don't have resistance lasers on them. ). SMOK Trophy is a cool tank. It is superior in quality and style. 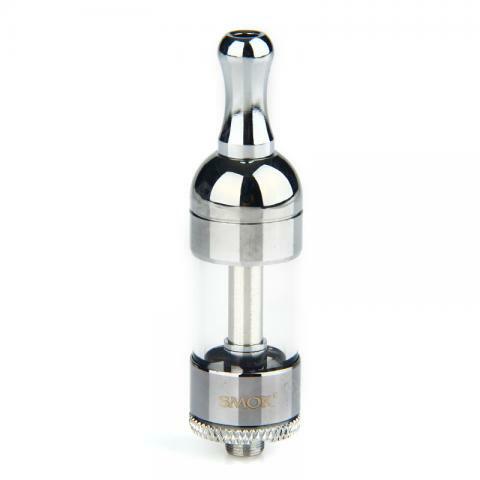 Das SMOK Trophy Tank V2 Glass Atomizer ist eine schöne E Zigarette, dessen gross Glastank ist auch genug zu rauchen fur einige Tage, diese Ausgabe macht sich bezahlt. SMOK Trophy Tank V2 is the best atomizer with good flavour and vapor. I really recommend it.